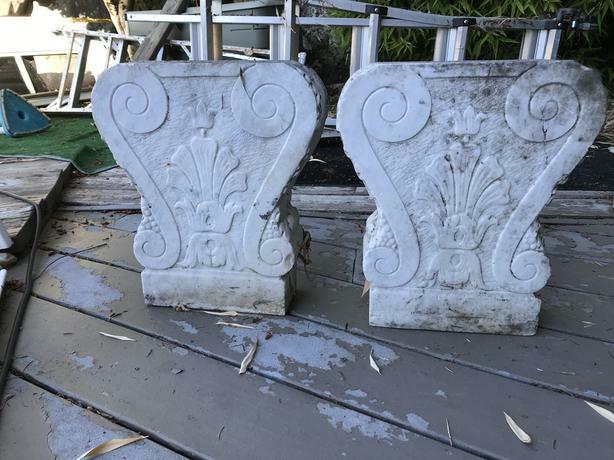 These are two end pieces to a bench that was stolen. They are pure white marble and are quite stunning when cleaned up, which i will do. they are about 18 inches tall and 12 inches wide and 6 inches deep. Any ideas?